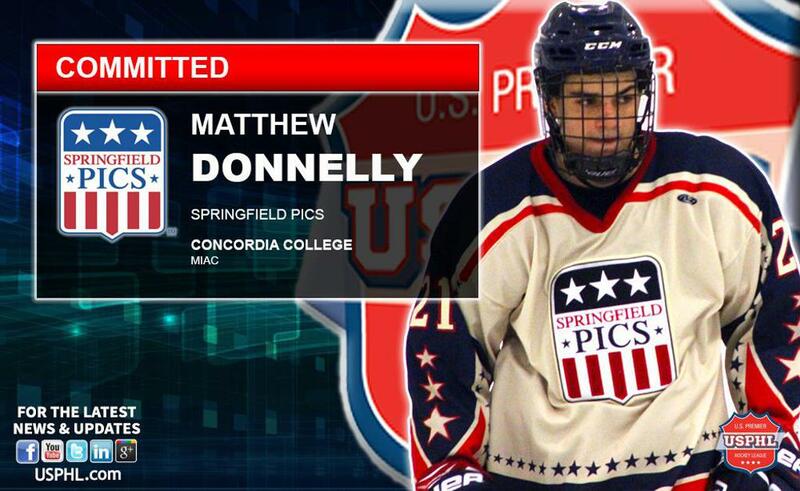 WEST SPRINGFIELD, Massachusettts—The Springfield Pics are proud to announce that forward Matt Donnelly has committed to Concordia College for the fall. The talented forward dressed in 36 regular season games for the Pics, racking up seven goals and 16 assists for 23 points and adding three goals and two assists for five points in five playoff games as the Pics reached the Premier Division Semifinals. Concordia College plays in the Minnesota Intercollegiate Athletic Conference, and the Cobbers are coming off of a strong season, posting a 14-11-2 record and reaching the MIAC Semifinal.